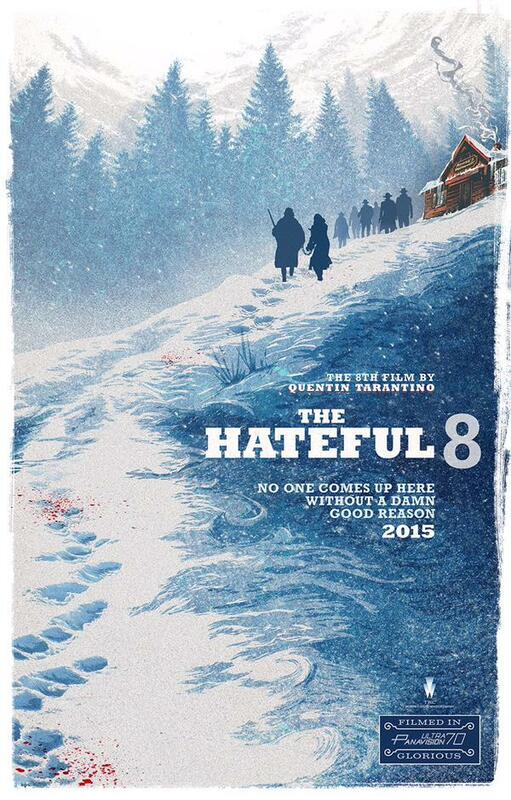 The Weinstein Company has released the first teaser trailer for Quentin Tarantino's eight film, The Hateful Eight. 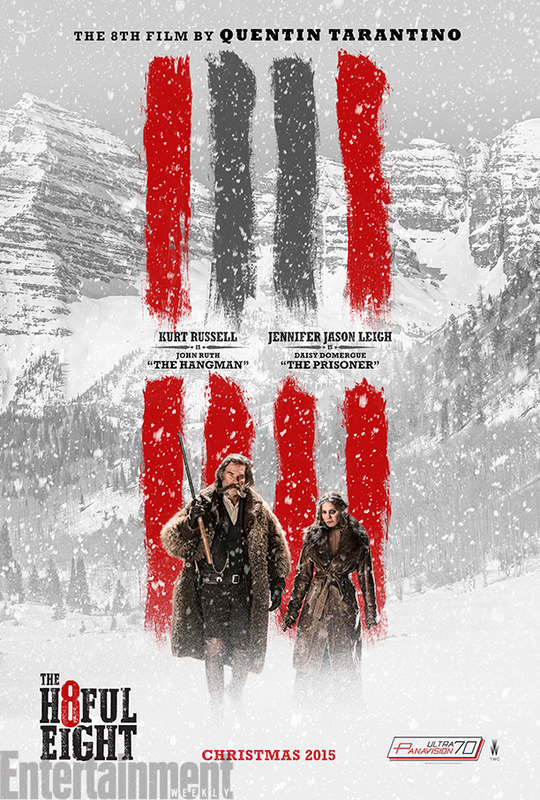 The film features bounty hunger John Ruth aka “The Hangman” (Kurt Russell) escorting criminal Daisy Domergue aka “The Prisoner” (Jennifer Jason Leigh) to her death when they get holed up during a snowstorm in post-Civil War Wyoming. Relegated to the close quarters of Minnie’s Habberdashery the two come to find a fair amount of tension between themselves and the six other folks who've become trapped by mother nature. The other titular characters include Major Marquis Warren (Samuel L. Jackson), Joe Gage (Michael Madsen), Oswaldo Mobray (Tim Roth), Chris Mannix (Walton Goggins), General Sanford Smithers (Bruce Dern) and Bob (Demian Bichir) who’s taken over innkeeper duties from Minnie while she is away visiting her mother. It has been three years since we caught our first glimpse of Tarantino's venture into Western territory, but it seems he has settled comfortably into the genre now with his latest. That isn't to say Django Unchained felt like the director was testing the waters (I loved the film), but the first impression I get from this trailer offers a distinctly more traditional vibe. Whether this is due to the intimate setting, the crisp dialogue or simply the fact the performances seem to be front and center, I can't really tell, but I do know the film looks gorgeous and I can't wait to unwrap this gift come Christmas day. The Hateful Eight also stars Channing Tatum and opens in 70mm on December 25th.